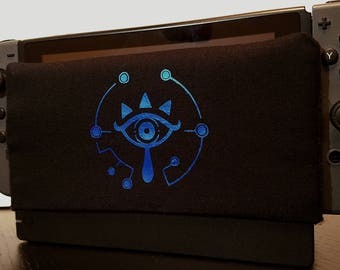 Handmade cover to protect your Nintendo Switch screen when entering and leaving your dock with a classic touch! Lined with microfiber fleece on the inside to keep your screen scratch-free and shining. No adhesives used. Measured to fit snug on the dock, but easily removed. Washable though I wouldn't machine-wash.
Will wrap the actual cover in a simple paper. Include any gift message inside package, the actual paper will vary. Received in an orderly fashion and was just as described. Thank you! 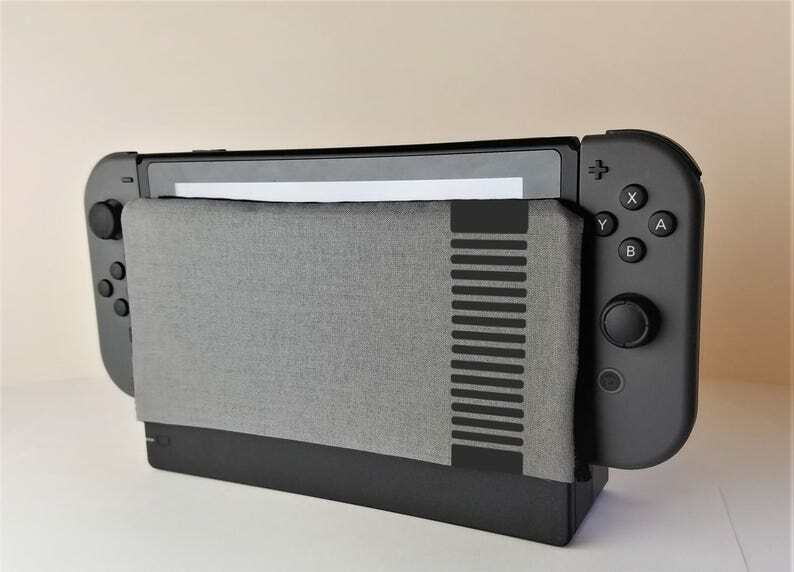 Great dock sock, looks great, does the job perfectly.